A lot of people sign up for dating sites and apps in the new year, hoping to find love or something like that. I get that. With the “new year, new me” mantra fresh on everyone’s mind, it’s not a surprise that a new boo would accompany that thought. So by now, those that downloaded Tinder, Soul Swipe, Bumble, MELD, and the like might have struck a chord with hopefully someone on one of those platforms. And after weeks of back and forth, it’s time to progress this relationship (or whatever it’s becoming) to the next level by actually meeting in person. Instead of throwing yourself into a full-fledged date upon the first encounter, suggest meeting at a local coffee shop or cafe. It takes the pressure off having to shell out extra coins when you don’t know if you even gel well with this person. And it’s also public and open enough where someone else could identify your potential boo in a lineup if necessary. The best perk of all is you get to start your story with this person by also simultaneously supporting a local business. Win, win, win! 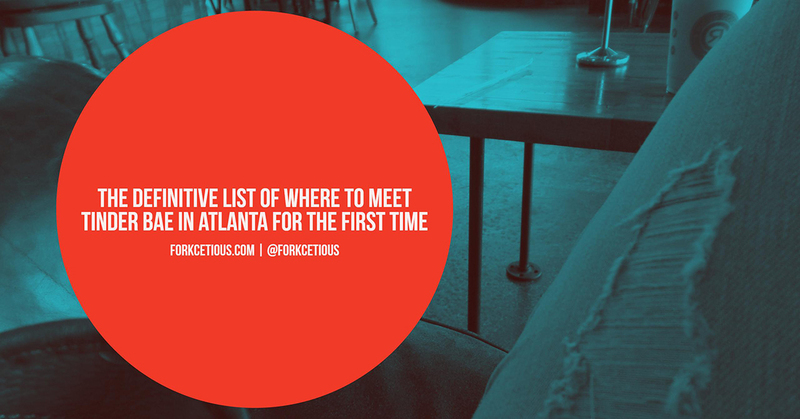 Share this definitive list of where to meet your online boo with your friends and family. Hopefully, it’ll provide a safe environment you deserve while potentially meeting the person of your dreams. Good luck!